THE notion ‘charity begins at home’ demands that you take care of those close to you such as family and friends, before you extend to others within your reach. Well, one of our able managers made us appreciate this adage when he took time from his busy schedule to run management officials through a lecture on fire safety. Before the insightful lecture, he had actually been indicating to me the importance of lessons on fire safety but I must say it did not occur immediately to me just how important this subject was until he delivered his lecture. So fire is a hazard so near to us than we ordinarily think. It can occur at any time in the work place but untrained people cannot fight a fire safely. 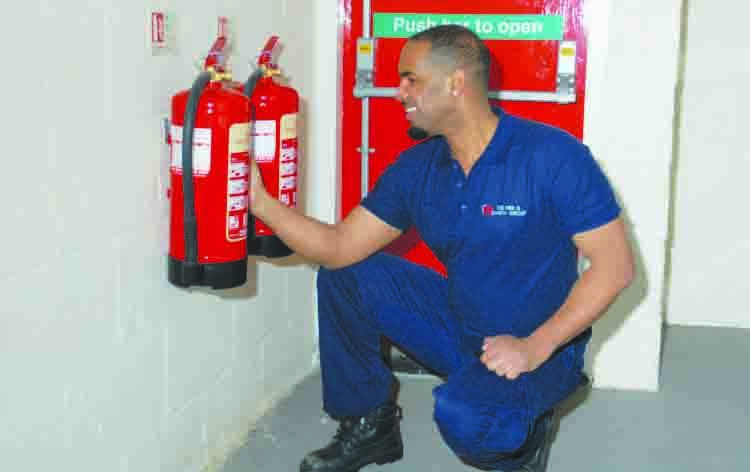 They are unable to evaluate a fire; they lack critical judgment tools such as recognition of correct extinguishers and other limitations, hence the need for fire safety education. Fire safety is everyone’s responsibility. All employees should know how to prevent and respond to fires. We are told that the risk of fire is one of the greatest threats to health and safety, property and delivery of essential services. Fire is caused by a process of combustion. Combustion is a chemical reaction in which heat, light and smoke are evolved. For a fire to occur, three elements should be present: Heat + Oxygen + Fuel = FIRE!! Three things must be present at the same time to produce a fire. There should be enough oxygen to sustain combustion; enough heat to raise the material to its ignition temperature and enough fuel or combustible material for the fire to burn. The fuel for fire includes papers that we leave on the tables and other office stationery. You may want ask how much of fuel is present in most of our work places, waiting for the other two elements, heat and oxygen, for a fire to take place. Your guess is as good as mine, and this is how close fire is to us. And we are told ‘take away any one of these three elements and you will not have a fire or the fire will be extinguished’. Essentially, fire extinguishers put out fire by taking out one or more elements of the fire triangle.